Adobe Systems is a $4-billion dollar software company. You would think their software could be on my Mac without screwing it up. Wrong. 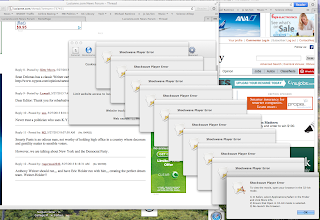 Today Adobe Schockwave filled my screen with the same error message at least 50 times. 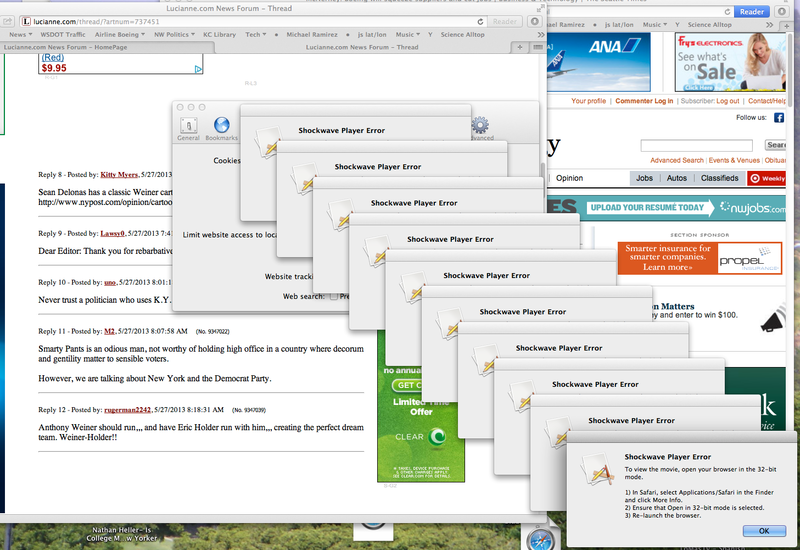 And, of course, froze the Safari browser. Take a look. And, apparently, whenever I go to change settings for privacy it will happen again. BTW, this Mac is less than two months old, with all new software. The graphic shows a fraction of the messages. At the lower right they stacked up. Click to enlarge.